Home News $62m question: Where to now for traders? $62m question: Where to now for traders? BRAZILIAN waxer Angie Bottari and fellow nearby traders are making way for Dandenong’s new civic centre but are struggling to find suitable premises. Ms Bottari, like almost half a block of traders in Walker, Thomas and Lonsdale streets, must vacate by May ahead of demolition for Greater Dandenong’s $62 million complex. She claims that after three years of cripplingly poor trade, she is unable to afford a nearby shop at higher rent. Ms Bottari says her “niche” business Angie’s Massage and Male Waxing has been hit hard by construction works since Places Victoria started ‘revitalising’ central Dandenong in 2008. She feels forsaken compared to Little India precinct traders who successfully campaigned for compensation and rent relief from the state government. 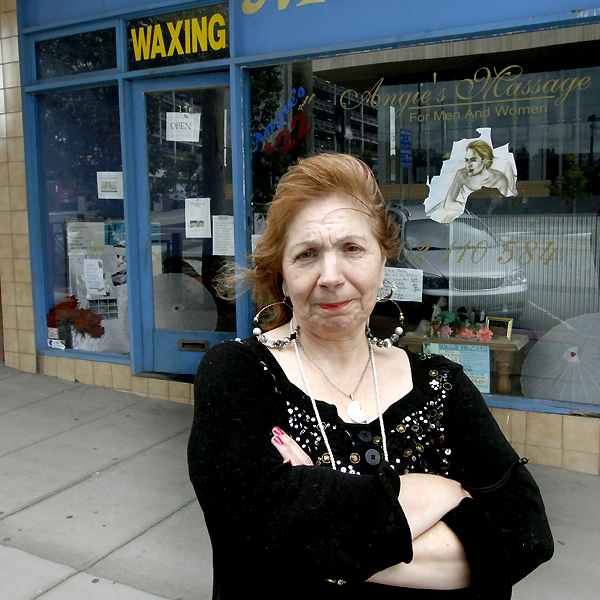 Ms Bottari received six months’ free rent but without a written lease, she says Places Victoria won’t give her the $60,000 she needs to relocate her waxing parlour. She rebuffed Places Victoria’s suggested relocation to “old and mouldy” shops in Vanity Court Arcade. Martin Hashemi, who runs Afghan Bazaar in Walker Street, has been offered $40,000 compensation and free rent but finding a new site has proved difficult. He says his business dived since works began and parking bays were removed outside his shop. At Badir Variety Store in Walker Street, a service woman said they were yet to discuss compensation with Places Victoria but believes “different rules” apply to Little India shops. Places Victoria didn’t comment before deadline.